Beauty, Travel & Lifestyle - theChency's Diary : Faker!! Oh my god!! Why me? I’m not pretty, not special at all. Why use my picture as her profile picture? Plus she is on a relationship with a girl call 升晴. I keep shocking when I get inform from my friend. Anyway, thanks for my friend tell me this thing. Oh gosh! Moody right now!! I don’t know how to report her. I report myself seem like useless. Then, I try calls help from my friends too. Hope will be settling soon. 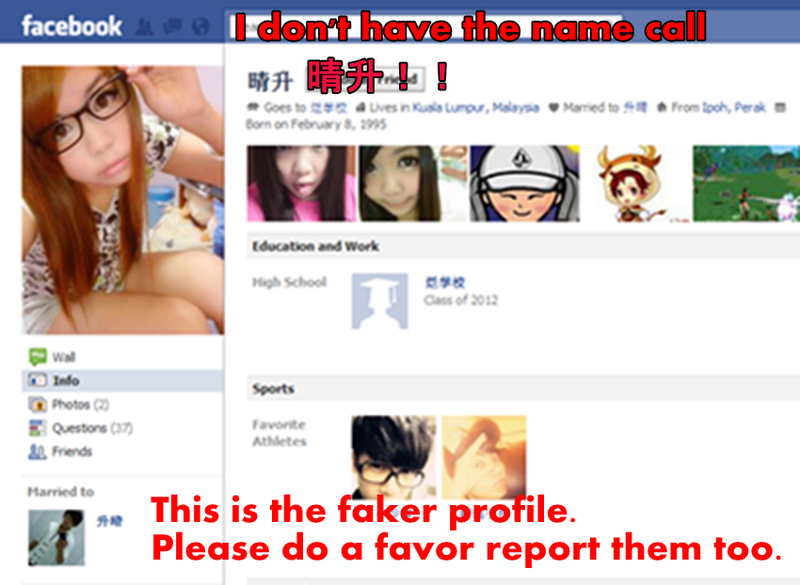 Please do me a favor report too. Really appreciate your help. Thank q. Thank q. Thank q. >.<"
My friends report to me.